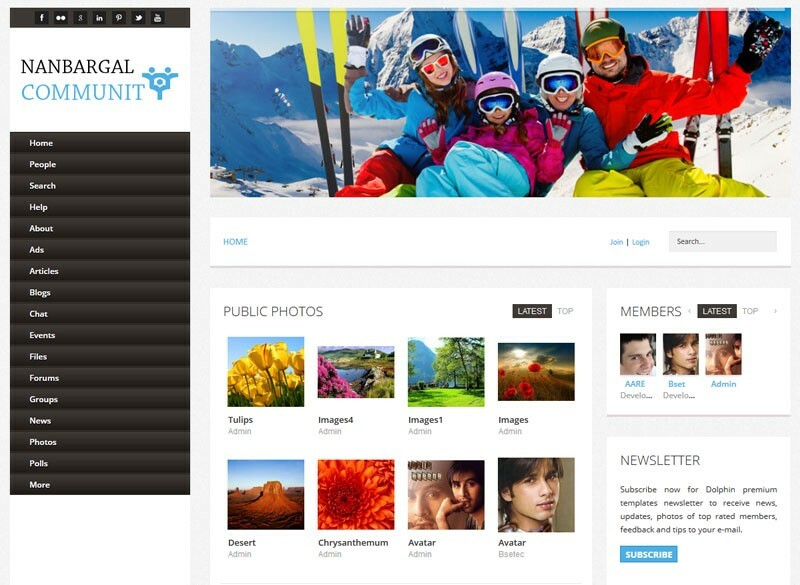 Nanbargal Community is a unique, opulent, responsive and easy to use Dolphin template built with an array of exhilarating features. With the easy customizing features, you can decide your favorite color and within no time upload to change the custom backgrounds, through easy to use admin panel. The end users fetch the ultimate experience with our remarkable UI. Nanbargal community has been exclusively created with the smart phone users in mind. Eventually, it looks incredible on all devices, desktops, mobiles and tablets. 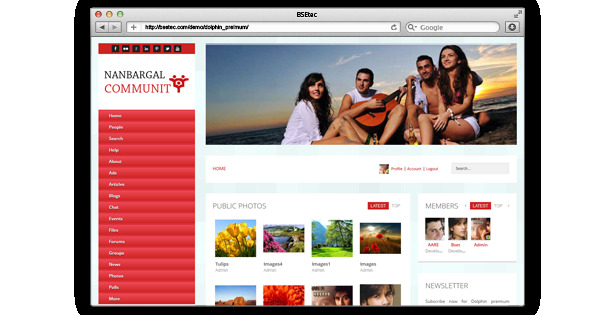 Nanbargal Community has 100% responsive layout in every element of the template, including the sliders, giving an awesome look at various screen sizes from PC monitors to tab and mobile screen size. It can attract your target audience through any type of device! Nanbargal community encloses entrancing responsive slider feature that allows you to generate startling slides to boast with your content. The slider is an exclusive feature of Bse panel and it allows the user to take absolute control over the slider. Nanbargal community is all set to facilitate you to acquire high search engine rankings as we have engineered it with SEO practices in mind. Nanabargal community employs semantically valid HTML and CSS codes, which let search engines to effortlessly index the content of your site. Further, Bse panel has added Google tracking codes, sitemap and robot text file to enjoy complete Search Engine Optimisation. Bootstrap is a HTML5 & CSS3 framework, designed to help you develop new web apps for your sites. Nanbargal community is developed using this technique so that your site is updated with various charts and easy navigation. Nanbargalcommunity theme comes with a layered psd file, which helps to instantly build a mock-up for a new page and to create preview images, to explain the visitors without hard hitting efforts. WOW!! This is by FAR the most impressive Theme on Boonex.com and by FAR the most powerful admin section.... I LOVE IT! I installed this template, I must say I am very impressed with its seamless integration with Dolphin. It looks superb, very professional. The service was great too, they even installed a wide template for me so I could fit in more columns and content. I LOVE IT! By far the best template system I have used so far. I would definitely recommend this product and company. Themes good, not impressed with support so far. Sent a mail to your email address listed above back on November 13th, still haven't got a reply. Have left a follow-up today in the forum so hopefully that may get a response. Great template and so easy to modify. Thank you for a really good responsive website. Formidable template. The professional support, fast and pleasant. Great template , easy to instal ! Great template. Thank you for all the help bsetec.